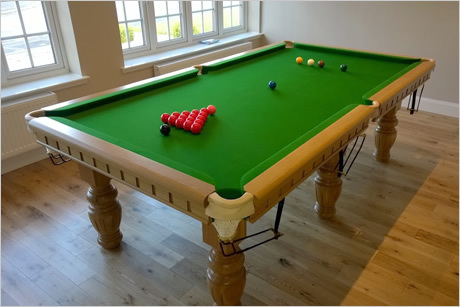 Here at Home Pool Tables Scotland we’re the proud holders of Scotland’s largest collection of snooker tables for the home. 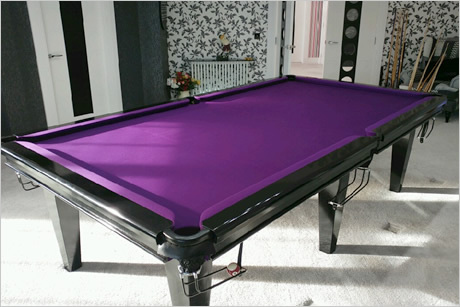 The sky’s the limit when it comes to creating your perfect snooker table. 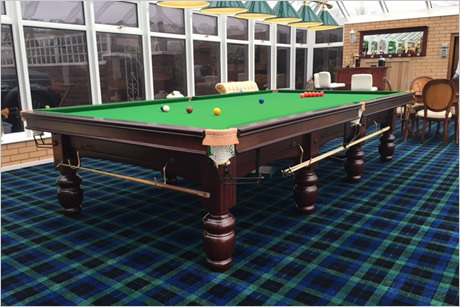 Visit our Hamilton showroom today where we’ll make your dream a reality. 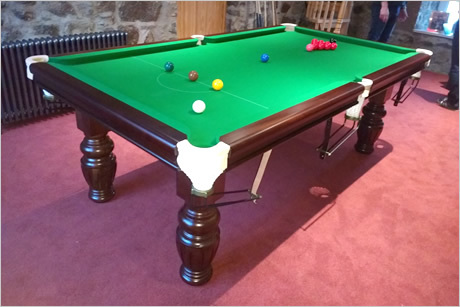 We stock more varieties of snooker and pool tables than any other showroom in Scotland. 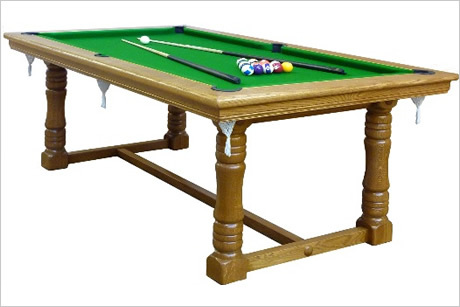 We provide you with tables of the highest quality in a variety of wood finishes and cloth covers. 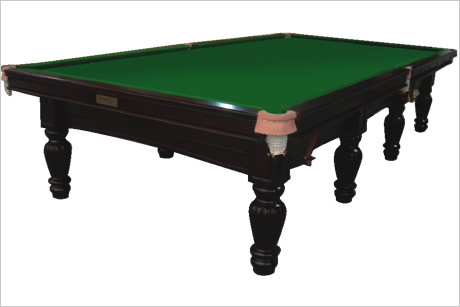 Choose from a number of table sizes including full sized competition snooker tables suitable for seasoned professionals. 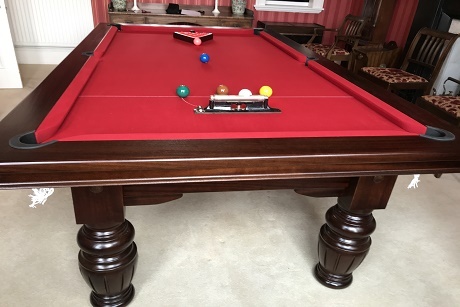 Perfect for the home of any snooker enthusiast. 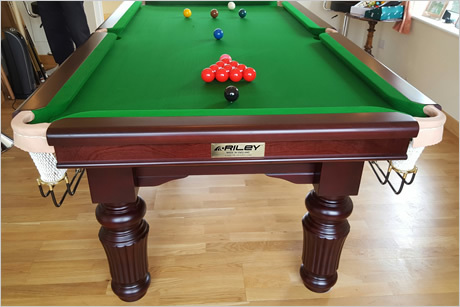 Our snooker tables are the ideal centrepiece to your games room. 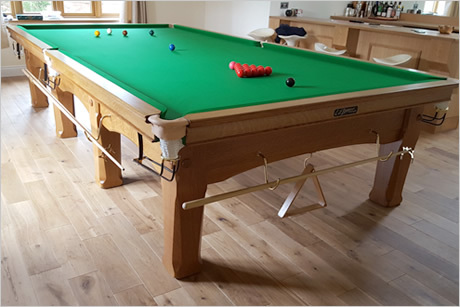 Sophisticated and elegantly designing and constructed from solid timber, our Snooker tables will be timeless addition to your home. 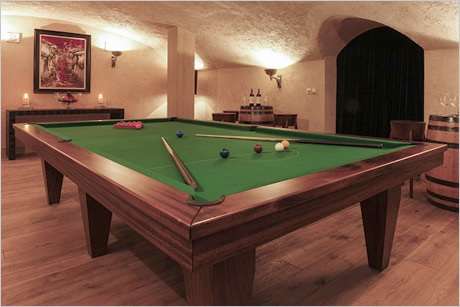 Every element of our tables radiates quality and incredible attention to detail.